1) Incredibly easy to make: peel and chop the potatoes and garlic, boil them up, drain the water, mash ’em, mix in the additional ingredients and voilà! You’ve got Thanksgiving-level potatoes! 2) Are easily multiplied: The measurements in these Garlicky Buttermilk Mashed Potatoes are pretty simple; they can easily be doubled, tripled, etc. to feed larger crowds. 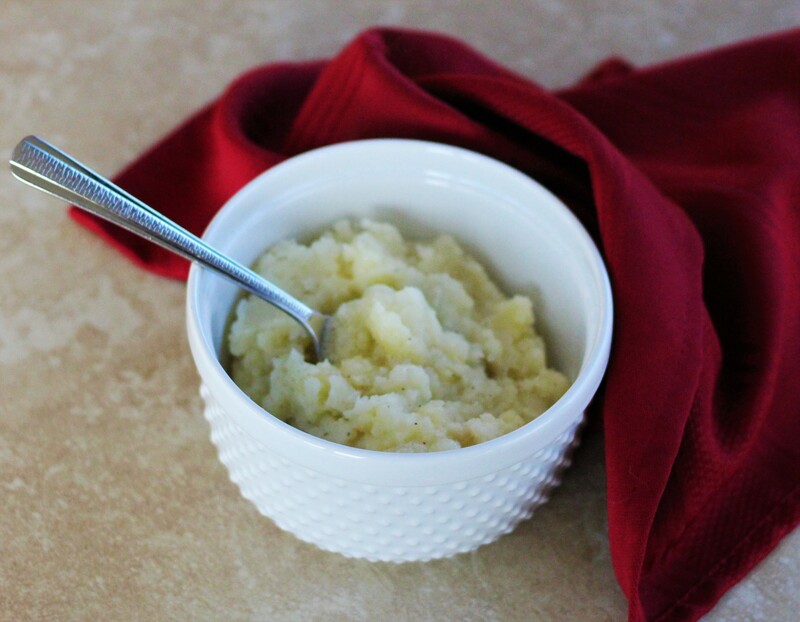 3) Taste delicious as all get-out: With a whole head of garlic, a half a stick of butter, and a cup of buttermilk – plus kosher salt and pepper – these Garlicky Buttermilk Mashed Potatoes are BRINGING the flavor! Let’s talk more about that aforementioned buttermilk. I got the idea to use buttermilk in these Garlicky Buttermilk Mashed Potatoes whilst spending lots of time these days becoming acquainted with it in my dogged attempts to get another recipe for the blog down (hint: it involves batter and a griddle; here’s to hoping I get that recipe yet so I can share it here!). I find it especially lends a richness and tang that I’d previously missed when making mashed potatoes without it. And the garlic: the garlic is glorious! Incorporating a whole head of garlic into mashed potatoes initially was an intimidating prospect for me; if you’re feeling the same way about it, have no fear, as boiling the garlic will reduce its strength to what I find to be a perfectly tantalizing level. When it all comes together and you bite into a mouthful of these warm mashed potatoes and get that tang of the buttermilk, the richness of the butter, and those savory, garlicky notes – OHHHH, YEAH. That is some side-dish glory right there. 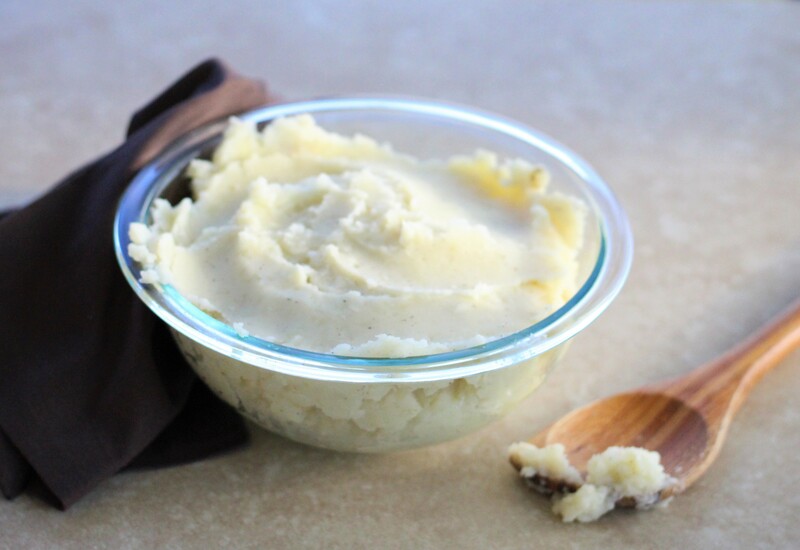 Bravo, Garlicky Buttermilk Mashed Potatoes, bravo! You will make each act of the holiday season a success! Rich, creamy, buttery, garlicky goodness! Whatever the time of year, these Garlicky Buttermilk Mashed Potatoes make the perfect side dish. Peel potatoes and chop into smaller pieces - sixths or eighths are good. Separate garlic head into individual cloves, remove skins, and chop large cloves in half. Add potatoes and garlic to a large pot and fill with water so that they're covered by at least several inches. Bring to a boil, then reduce heat to medium-low so that the boil becomes a gentle rolling and let cook for 20 minutes, or until potatoes are soft when pierced with a fork. Drain water from potatoes and garlic using a colander, then return them to the pot or a mixing bowl. 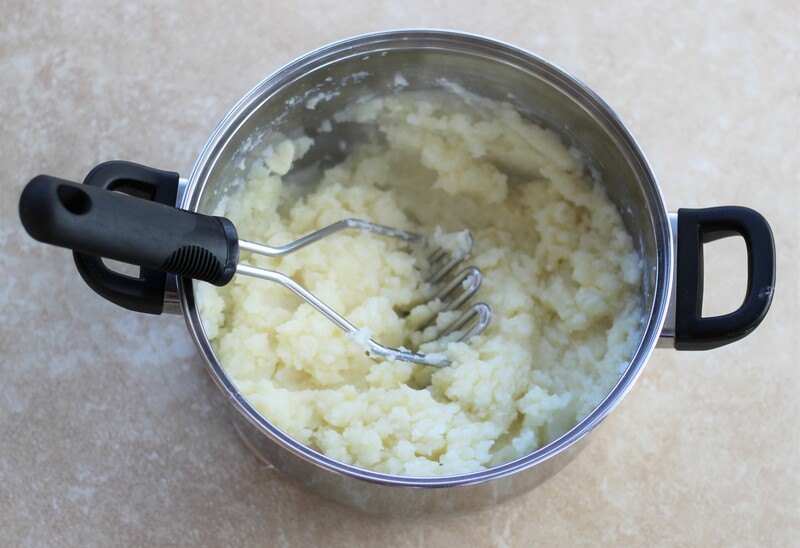 Mash potatoes and garlic using a mashing tool or fork until they are a mostly smooth consistency (some lumps are good!). Mix in the buttermilk, melted butter, salt, and pepper, and you're ready to serve!